Ridgewood, Maspeth, Middle Village and Glendale make up a string of neighborhoods in western Queens that share a border with Brooklyn. Straddling a somewhat fluid border with the Brooklyn neighborhood of Bushwick—the LIRR tracks east of Fresh Pond Road separate Ridgewood from quieter Glendale—Ridgewood annexed itself to Queens (it was formerly part of Brooklyn) in 1979. Neighboring Bushwick has recently grown exponentially as young artists and other creative types escaped skyrocketing rents and expensive condos. As a result of this influx, a culture of art galleries, restaurants and event spaces has moved into the neighborhood. Ridgewood boasts block after block of picturesque row houses and lower home prices, encouraging a handful of Brooklyn escapees to happily make the move to Queens. Ridgewood is visually distinguished from Bushwick by the large amount of exposed brick construction. Most of Ridgewood was developed around the turn of the 20th century, and many of its buildings are well-kept and retain much of their early 20th century appeal. The neighborhood contains 13 national historic districts, the most of any neighborhood in Queens. A standout is Stockholm Street, the borough's only brick-paved block. Less than 45 minutes from Manhattan and close to the Williamsburg neighborhood in Brooklyn, Ridgewood could soon compete with some of Brooklyn's trendiest residential areas. 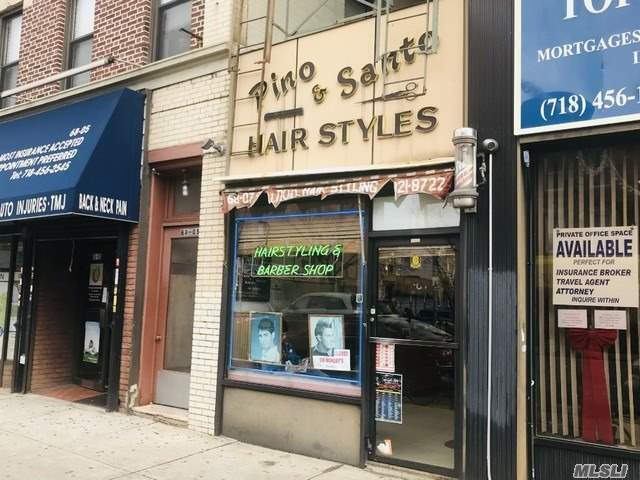 The neighborhood's main shopping areas are on Myrtle Avenue and Fresh Pond Road. Other, smaller shopping strips are located on Metropolitan Avenue, Forest Avenue, and Seneca Avenue. The M line of the New York City Subway runs through the heart of Ridgewood, and its connection to the L at Myrtle-Wyckoff Avenues at the south end of Ridgewood is a transportation hub, with a 60 million dollar renovation completed in 2007. Register or login to see the details on ALL properties available at Ridgewood (not just our exclusives!) .